Anytime, anywhere secure access to enterprise applications and systems is a minimum requirement for most organizations today. 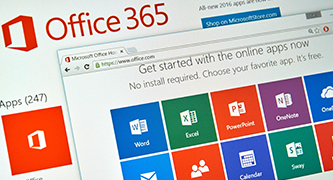 Microsoft Office 365 combines robust security features with the flexibility and ease of cloud and mobility to offer better collaboration, communication tools and considerable benefits. YASH Technologies can help your organization make Office accessible where, when and on whichever device you need it. Re-engineering, Re-hosting, Re-platforming for business process driven integration. Contact YASH today to get a better understanding of how we can help you get more from your Microsoft investments.